There seems to be an increasing number of those interested in wine investment in Japan, but many do not know where to start. When purchasing wine as an investment from the viewpoint of making profits rather than for the purpose of drinking it, two questions come to mind. What kind of stock should be purchased, and on what basis? When investing in wine, it is important not to desire to drink it, but to select stocks that can aim for high returns in the future. Let’s learn the four rules for successful wine investment by John Kapon, the chairman of the major American wine auction house “Acker Merrall & Condit”. Wine investment is an investment method that carefully matures high-quality young wines, raises their value and sells them. Wine, which is a favorite item among people, is consumed more if it becomes vintage and its rarity increases its value. Furthermore, many wonderful wines are produced in small quantities. In other words, their rarity value is already high from the beginning. Wine collectors from all over the world are pursuing wines with this rare value, and this continuous demand won’t go out of style. Also, wine is an asset that is an actual object, and its value tends to rise with inflation, so it is also a measure against inflation. Once purchased, even if it must be well stored until it is sold, there is no need to pay fees to experts such as wealth managers. If you think about it, it makes sense to say that wine investment has been popular in Europe and the United States for many years as a form of stable asset management. According to a joint survey of the world’s largest art event creator “Art Basel” and UBS, the wine was second to art as a high-return investment target in the fourth quarter of 2017. Since then, the return rate in the past year was 11%, and the return rate in the past 10 years was 192%. According to data from “Fine Wine 100 Index” provided by Britain’s luxury wine trading platform “Liv-ex”, the wine with the highest return rate from 2012 through 2017 is “Petit Mouton 2011” from France, which recorded a return of 165%. It was £690 in 2012 but went up to £1831 in 2017. Besides that, “Krug, Vintage Brut 1990” and “DRC, Grands Echezeaux 2006”, among others, have produced returns of more than 150%. However, among this high return top 10 ranking, the price ranges varied widely. The lowest priced wine was Calon Segur in 2007, which was at £753 as of 2017. The most expensive was DRC Tache in 2008 and was valued at £29,000 (article from Telegraph, July 3, 2017). So, how does one get a high return from wine investment? Let’s learn about the four rules of successful wine investment explained by John Kapon, the chairman of the major American wine auction house “Acker Merrall & Condit”. In the wine and auction market, “the influence of collectors on in-demand wines” is the key factor. 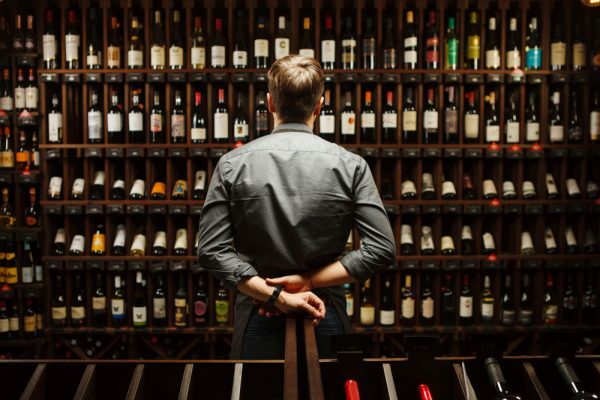 If you are aiming for a high return and substantiate prices over decades among collectors around the world, invest in popular “must have” wines for collectors. Wines that increase their prices through bidding are the ones that collectors are seeking. In 2017, the wines that reached the highest price at a wine auction included wines like “Acker Merrall”, “Domaine de la Romanee Conti”, “Chateau Mouton Rothschild” and “Chateau Lafite Rothschild”. A full case of wine in its original package sells for the highest price. Although the investment amount required is larger than for a single item, the profit will also increase. Single wines also hold value. If you do not have the budget to purchase a full case, you may want to invest in a single item if you have the opportunity. Wine with a high scarcity value will bid successfully at a high price. The older it becomes, the stronger the trend. If you consider that collectors around the world want wines of which there are only 100 to 1,000 cases, you can expect a high return. Even if you are satisfied with acquiring a wine with a high scarcity value, just leaving it in any old place will reduce its value by half. To mature wine and optimize its market value, the ideal temperature is said to be 13℃ or less and the ideal humidity is said to be 70%. Regarding the storage temperature, there seems to be a theory that “a little lower in temperature will mature the wine slowly,” so perhaps it is about trial and error. ・Types Of REITs – Which Is The Best Investment For The Beginner In Singapore 2018? ZUU Japan is financial media platform with the aim to provide equal access to learning opportunities for all, in order to equip users with the essential skills to compete in a changing environment in the world.